Is Your Company Fully Ready for the Aging Workforce? Planning well for retirement takes discipline, vision, and sacrifice and often takes decades. There are critical financial issues to plan for, including health care and long-term care. Once those are reasonably squared away, there are key non-financial issues to plan for as well. What will my purpose be when I’m retired? Who will I be in retirement? I’ve always been a lawyer, an accountant, etc. Now, what will my new identity be? How will I invest my time now? How will I structure my day, now that I no longer have to go to work each day? These tend to take a back seat to the more pressing financial matters. They are easy to put off, but if they remain unaddressed, they become acutely elevated in importance. After working each day for decades, the prospect of not having to go to work each day can be tantalizing. Breaking away from work delivers an intoxicating sense of freedom. But without sound planning, a secret challenge of retirement can be boredom. Work gives us more structure, purpose and social connectivity than we may realize when we’re immersed in it. These psychological benefits that go beyond a paycheck can create a big void if they’re not replaced. Their absence can be acutely felt. Recent research is showing a clear trend toward unretirement, with about one-quarter of retirees in the US and UK returning to work. Half of the retirees were found to head back to work within 5 years of calling it a career. You may be thinking that financial need must be driving people back to work. For some, that’s the case, but studies indicate that for many it’s the need for meaningful and satisfying work that is the primary factor. In fact, those who need to return to work for financial reasons have the hardest time finding work again. Our guest on The Retirement Conversation podcast, Dr. Nicole Maestas offers insights and perspective based on her research on unretirement. An economist at Harvard Medical School, she notes the benefits of working longer and what women specifically need to account for in planning for retirement. 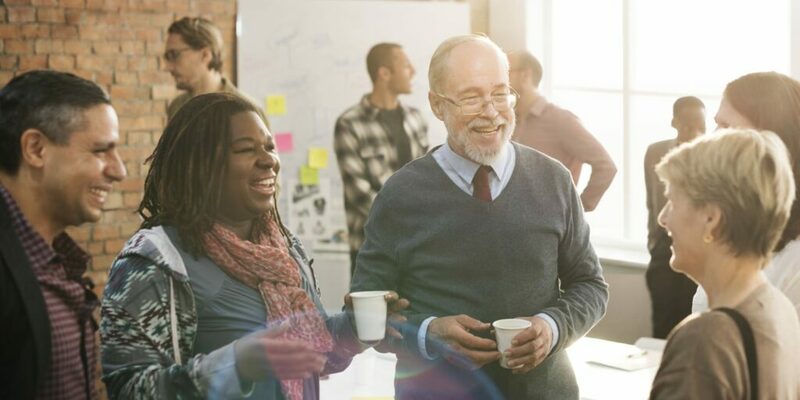 And with people 55 and older representing the fastest growing segment of the labor force, smart companies are being to take note of how to retain and recruit talented seasoned employees. Dr. Maestas offers her advice on what companies can do to optimize their workforce in the years ahead. Her observations will give you food for thought on how to balance your retirement planning. You can hear our conversation with Nicole Maestas here. You are so correct about the necessity of filling in the need to do something productive and meaningful in retirement. It is one of the biggest transitions that people make in their lifetime. Having something there to fill the void from one’s work life is important. I took my sabbatical back in 1992 (at 37y/o). A couple of years off to travel and cleanse my palate (as I put it). I then came back to the same company at the same grade, pay, seniority, benefits, etc. that I had when I left. We retired at 55y/o. As you well point out, retirement requires both long-term financial and non-financial considerations. Both of these require the same amount of critical discipline and vision. We looked at our purpose outside of work while we were still working — but, we never defined ourselves by our work so, the transition to retirement was seamless. In retirement, we still have significant structure, purpose and social connectivity — it’s just more random, and not always tied to the clock. There are so many exciting opportunities — it’s a great place to be, and a great time to be there.